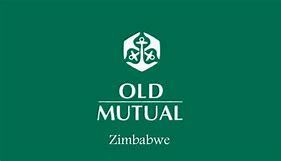 OLD Mutual Zimbabwe Limited recorded a 41% increase in revenue to US$1,4 billion in the full year to December 2018 from US$991 million in 2017 due to growth in investment gains and banking interest income. In a statement accompanying the company’s financial results, chairman Johannes Gawaxab said net interest income was up 19% from a combination of growth in loans and advances, as well as an improvement in net interest margin driving after-tax-profit to US$49,2 million from US$42,1 million in 2017. Net non-interest income grew by 13% due to continued use of card-based and electronic banking platforms as alternatives to cash. Operating profit was up 23% to US$79,2 million from US$64,5 million the prior year, driven by profit growth in the life, banking and asset management businesses. Operating and administration expenses dropped by 3% to US$91,4 million from US$93,8 million in the comparative year due to various cost initiatives implemented by management in response to the difficult operating environment. Gawaxab said funds under management were up by 52%from US$42,1 million at the beginning of the financial period to US$4,1 million as at December 31, 2018 due to growth in net client cashflows and positive investment performance. “To protect client portfolios from the risk of loss of value emanating from the monetary policy and associated uncertainties, the group deliberately took overweight position in non-monetary assets. By December 31, 2018, consumer inflation had surged to a post-hyperinflation peak of 42%,” he said. “Going forward, the overall pace and magnitude of macro-economic revival is likely to depend significantly on the government’s ability to sustainably rebuild public and investor confidence, bring spending under control, as well as to re-engage successfully with the international community,” he said.